Here is an atractive and handy way to organize, view and protect your recipes! There are six hinged windows for easy access and viewing of recipes, and large enough to hold the larger style recipe cards. 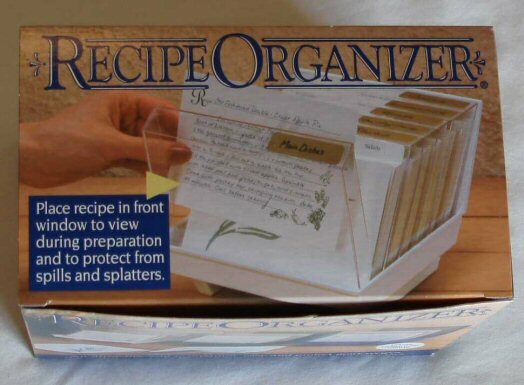 Includes 50 decorative recipe cards, 19 category divider cards (4 blank) and 6 window labels.